Nowadays Gif’s are very popular and people keep sharing gif on various social media platforms. You also have noticed many gifs are uploaded on Twitter. And if you have tried to download gif from twitter then I am sure you have not succeeded even if you right click on the mouse and search for save image as option. If you don’t know what Gif’s are? Gif stands for Graphics Interchange Format. Gif is similar to images but the basic difference is that Gif contains 2 or more images which seems like a small video clip whose audio is missing. Why are you not able to download gif from twitter? You have noticed that when you found a gif file on Facebook and other social media platform you will get a direct option for downloading. But in case of Twitter, that option is not available. Because each time when you upload a gif to twitter it gets converted into a small video file and you can’t save gif from Twitter directly. 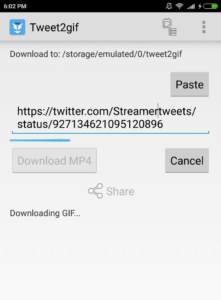 So here are few methods which you can use to download gif from twitter on Computer, iPhone, and Android. Locate the Gif file which you want to download. Now click the on arrow then click Copy Link To Tweet and copy that link on your clipboard. 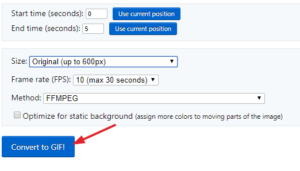 Now go to website Tweet2gif and paste that link in the input box and click on create GIF. Now click on download. If you want the MP4 format of that file you can choose create MP4 and save it to your computer. Locate the tweet which contains the gif which you want to download. Click on more option( … ) icon and then from drop down select: Copy Link To Tweet and copy the link to clipboard. Now open website Ezgif.com and click on the video to Gif. Then paste that URL as shown in images below. Now click on convert to Gif and wait for process completion. Then click on save button to download gif from twitter to your computer. if you use an android device to surf the internet and to access social media accounts, then you also need to save gif from twitter to your Android device. For that purpose, you can use many gif downloader applications available for Android over Play Store. Open your Twitter app on your Android device. Locate tweet which contains gif and you want to download it. Click on the arrow icon in the top right corner of the tweet. Then from drop down menu select Copy Link To Tweet as shown in images below. 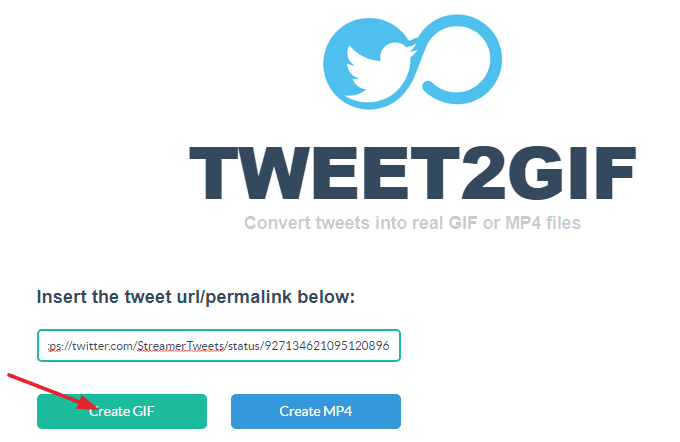 Now open the Tweet2Gif app and paste that URL and click on download as a Gif. Open the Twitter App and locate the tweet. 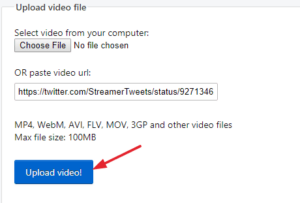 Copy the link of the GIF file you want to download. Install the GIFwrapped App for iPhone. Now open Gifwrapped App and paste the link you have copied into the Browser of the app (It has default browser). It will load the GIF file completely and then Tap on the button in the top right corner and choose to Save to Library. 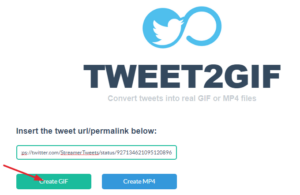 I hope these methods to download Gif from twitter will work for you and don’t forget to share these methods with your friends. If you are facing any problem with above methods and you know the better alternative to download gif from twitter then drop a comment below and share it with other peoples.